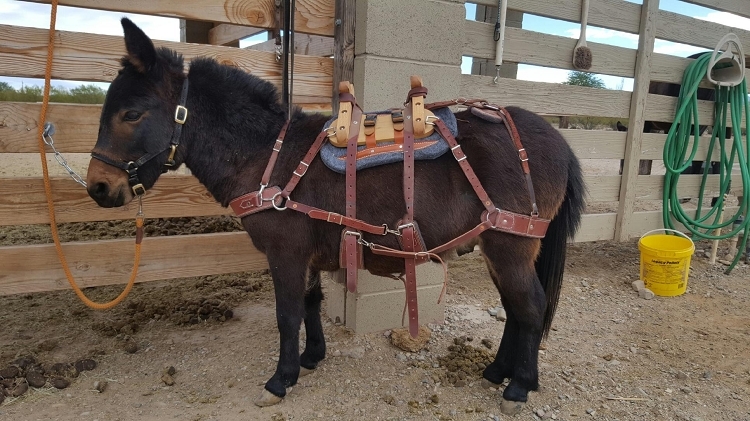 Nobody else builds a mini packsaddle like this one! With uncomprimising fit, form, and function, the Sawtooth Packsaddle is the pinnacle of our product offering. Truly a work of craftsmanship. Built to perform in the field, but will look just as good on display in your den, or on your minis in the parade. It is durable, comfortable, and really great looking. We have shipped these saddles all over the U.S., but also to Germany, Australia, and other countries. It is commonly used by hunters, parade-goers, rendezvous exhibitors, and the like. Also available in a synthetic version Features a true breast collar, breeching, and spider strap system. The main components are 8-10oz veg-tanned latigo or harness leather, lined with 3/8" wool felt. 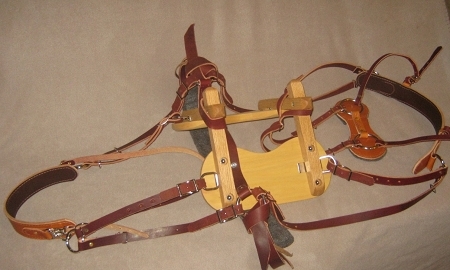 We can also custom-build this saddle for any animal you can think of. Please contact us if you are interested in custom saddle work.